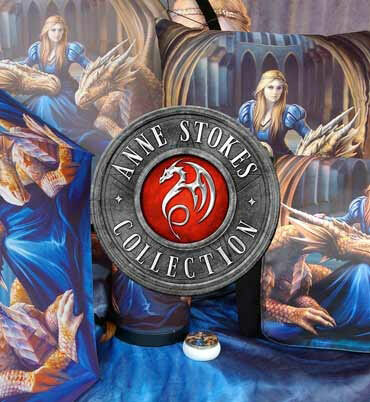 This beautiful Purse is adorned with the striking Awaken your Magic owl wolf artwork by Anne Stokes. On a moonlit night in a snow-covered forest, a white snowy owl swoops towards you, wings outstretched. In its talons it clutches a metal pentacle pendant, as if delivering it to you and inviting you to start your magical journey. This piece has multiple slots for cards and small change, making it both stylish and practical.